The Food and Drug Administration (FDA) is one of the most powerful of federal regulatory agencies, if not the most powerful. It regulates over 25% of all consumer goods sold in the United States. It makes decisions on a daily basis that affect the lives of millions of people. While the FDA was created to protect the public, how well is it fulfilling this mission and whose interests is it actually protecting? In this book, four outstanding scholars examine how the FDA accumulated its enormous power and what effects it has had on the public. It also explores who actually benefits and loses from FDA actions, and whether alternatives exist to safeguard the health of Americans. This book raise serious questions about the wisdom of giving policing power with little oversight or appeal process to scientists, as the FDA currently does. It also argues forcefully that the FDA unnecessarily delays beneficial medicines and medical devices, many of which are routinely available in Europe, from being available to Americans. Despite widespread public belief to the contrary, the FDA does not test new drugs and medical devices to insure their safety and effectiveness. The agency is primarily a law-enforcement body that occupies itself, first, in promulgating detailed regulations that manufacturers and others must obey and, second, in reviewing a vast collection of reports from the regulated companies to determine whether they have complied satisfactorily. Manufacturers themselves do the research, development and testing of products. Since 1962, the FDA has required not only that pharmaceutical companies demonstrate to the agencys satisfaction the safety and efficacy of new products before placing them on the market. It has also regulated in increasing detail the conduct of clinical trials. By making R&D more expensive and time-consuming, these regulations caused a substantial drop in the rate at which companies develop new drugs. Until receiving final FDA marketing approval, companies may not promote a new drug, even though it may already have become state-of-the-art in medical therapy. FDA drug regulations have created a drug lag, a delay between the time new drugs become available to patients outside the United States and the time they become available on the U.S. market. The drug lag, on average, is about two years. After a drug is fully tested, the FDA takes an average of 30 months to approve it for sale domestically. Because of FDA regulations, the average cost of bringing a new drug from laboratory to pharmacy has risen in recent years to $359 million (1990 dollars). Real development costs have doubled in the past decade and continue to rise. Given these high costs, many new drugs are not worthwhile to carry through the regulatory approval process. The FDA places severe restrictions on how drug and device manufacturers promote their productswhat is said or written, to whom, in what words, in what size type, with what qualifications and supporting evidence. These regulations violate the Bill of Rights, which forbids Congress to make any law abridging the freedom of speech or the press. They also cause great harm to potential beneficiaries of products, who never hear about products that could help them. An important current example is the FDAs prohibition of advertising that routine use of low-dose aspirin reduces the risk of a first heart attack. Much of the agency s restriction of communications is extra-legalan outgrowth of the control it possesses over all aspects of the operations of manufacturers of health care products, including the ability to ban their products. In regulating product promotion, as in its regulations generally, the FDA heavily emphasizes the risks of products while disregarding or minimizing their benefits to users. The net result is that Americans are less healthy than they could be absent these regulations. During the early 1990s, the FDA began to regulate medical device manufacturers much more harshly than before. Inspectors abruptly doubled the rate at which they cited producers for violations of so-called good manufacturing practice (GMP) regulations, even though no corresponding deterioration of actual standards had occurred. The FDA received, by 1993, more than 88,000 medical device reports (MDRs). It has required an MDR in every case of death or injury that might have been caused by a medical device. Studies have shown that the bulk of such incidents involve operator error or improper maintenance of the equipment, not defective devices. Nonetheless, the FDA continues to demand scores of thousands of MDRs annually, even though it lacks the ability to analyze so many reports, and hence the high costs of providing the data contain a large element of waste. Independent experts consider the entire MDR system ill-designed and needlessly costly. During the fiscal years 1991-94, the FDA approved, on average, only half as many new medical devices annually as it had in the preceding eight years. Waiting times quadrupled for marketing approval of new devices, reaching nearly 900 days in 1994, and doubled for improved versions of old devices, reaching 214 days in 1994. Hence arose a device lag analogous to the notorious drug lagforeigners get much quicker access to new devices than Americans. Apart from the deaths and suffering that result because the FDAs regulations discourage R&D and product promotion in the drug and device industries, many specific FDA regulatory actions have had lethal effect. For example, in the summer of 1992 the agency, having discovered paperwork violations at Bunnell, Inc., ordered the company to recall its Life Pulse High Frequency Jet Ventilator and tell hospitals to stop using it. Doctors protested that without the device, for which no effective substitute existed, many tiny premature infants would be unable to breathe and would die. Some 60 hospitals refused to comply with the order, but others did comply, and babies did die. According to Dr. Joel Nobel, head of the independent testing organization ECRI, the FDA s action caused anywhere from 10 to several hundred infant deaths. The FDA simply denies responsibility for these needless deaths, and no criminal investigation has been made. In 1992, the FDA forced Physio-Control Corporation, the leading manufacturer of cardiac defibrillators, to shut down, largely for paperwork infractions brought to light by sensationalistic television reports. The company was not permitted to resume operations fully until two years later. According to Dr. Richard Cummins, a leading authority on emergency medicine at the University of Washington Medical School, this FDA action caused at least a thousand deaths. Recent surveys show that scores of U.S. device manufacturers have shifted operations abroad, and most others are considering doing so to escape the FDAs expensive, oppressive, and unpredictable regulation. When the FDA began its recent assault on the device industry, capital outflows abruptly increased more than 200 percent, reaching $993 million in 1992. Venture capitalists report that moving clinical trials and other operations to Europe makes economic sense and may be essential for continued profitable operation. The best course of action would be to abolish the FDA and repeal the laws that establish its authority. This would free citizens to make vital health care choices for themselves, liberating them from the specious protections of the FDA bureaucracy in Washington. No genuine loss of valuable information would occur, because all such information comes from sources that would remain: the manufacturers of health care products; product evaluation bodies such as hospital formularies, TUV Product Services, and ECRI; and sources such as the Medical Letter on Drugs and Therapeutics, the M.D. Buyline, ECRIs Health Devices Alerts, and hundreds of professional and popular journals. There is no market failure to provide ample information to consumers of health care products. The FDA in fact plays no important role in supplying information. Short of outright abolition, the FDAs authority to act as a police agency should be repealed. The agency could continue to operate, certifying products and publishing information. Anyone who cared to act on its recommendations would be free to do so, but those who place no value on the FDA s judgments could ignore them. The U.S. Food and Drug Administration (FDA) is one of the most powerful of federal regulatory agencies, perhaps the most powerful, regulating about 25% of the consumer goods market in the United States. 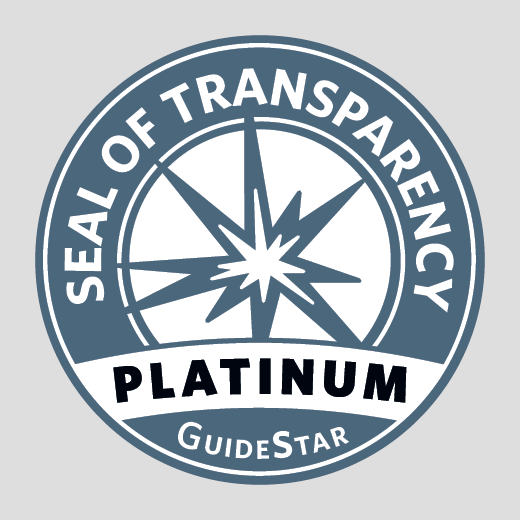 It routinely makes decisions that determine the well-being of millions of people in the United States and around the world concerning foods, drugs, medical devices, and dietary supplements. Although the FDA was created to protect the public, could its actual operations have the opposite effect, causing enormous harm to public health? Assembling the work of three outstanding scholars, the new Independent Institute book, Hazardous to Our Health?,provides a lucid and comprehensive examination of the FDA: How has the FDA acquired its vast powers? What have been the effects of the FDA? Why has the FDA failed to achieve its goals? Who actually benefits and loses from the FDA? How has the FDA defended itself against criticism? What real alternatives exist to the FDA? and much more. Hazardous to Our Health? brings together three analytical assessments of the FDAs regulation of health care products: FDA Regulation of the Pharmaceutical Industry, by Ronald Hansen; FDA Advertising Restrictions, by Paul Rubin; and FDA Regulation of Medical Devices, by Robert Higgs, the editor. The books introduction and afterword, written by Robert Higgs, place the activities of the FDA in broader perspective by describing how the agency acquired its vast powers, how it tends to employ them, and how the harm caused by the agency might be diminishedideally by abolishing the agency altogether. The introduction emphasizes that although the FDA is regarded as a scientific body devoted to protecting public health, in fact it is a thoroughly politicized body, used by its top administrators and members of Congress to promote their own ends, often harming the public health. The FDA must necessarily fail to promote human welfare, because it makes one-size-fits-all rules for a population that varies immensely in the preferences, social circumstances, and physiological attributes of its individual members. The FDA attempts to promote the public health in the same way that socialist central planners attempt to promote economic prosperity, and FDA health planners fail for the same reason that the socialist economic planners fail. In neither case do the rulers know what promotes the public interest, individual by individual; and in neither case do the rulers have strong incentives to promote the public interest even if they somehow were to know what decisions would do so. The FDA has never seriously attempted to show that its benefits exceed its costs. It relies on sheer power augmented by gross propaganda. Paul Rubins chapter shows that the FDA places outrageous restrictions on the marketing of drugs, seriously harming patients who therefore never encounter valuable information. A leading example is the agencys ban on aspirin companies advertising that routine use of low-dose aspirin can reduce the risk of a first heart attack. FDAs advertising restrictions are premised on several harmful assumptions (e.g., that all consumers should be treated as if they are childishly unsophisticated and easily misled, and that doctors are not much more reliable as judges of medicines). Many of FDAs advertising restrictions amount to regulating the practice of medicine and suppressing the publics First Amendment rights to free speech, without any legal authority. 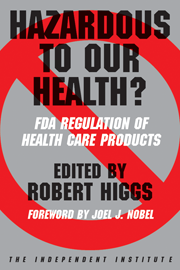 Robert Higgss chapter shows how the FDAs current regulation of medical devices, instituted in 1976, has become increasingly draconian and unreasonable, especially since David Kessler became Commissioner late in 1990. The agency has imposed increasingly detailed and demanding requirements on product manufacturers, slowing product development and escalating costs. A device lag comparable to the drug lag has developed, giving foreign patients much quicker access to the latest life-saving and life-enhancing medical devices. The FDA s punitive approach to regulating medical devices has been driven by politically inspired decisions and fostered by sensationalistic media coverage such as the silicone breast implants horror stories of recent years. In response to the FDAs harsh and unwarranted regulatory assault, scores of U.S. device companies have moved operations abroad, and most others are considering doing so. In the final chapter, Robert Higgs concludes that the root cause of the harm caused by FDA regulation of health care products arises from the enormous discretion Congress has given the agency. Further, the agency has constantly pushed the envelope of its statutory authority, expanding its powers beyond the ostensible limit. Substantial relief for the public will require that the agency s statutory authority be drastically curtailed. No one should be misled: The FDA justifies its regulation on the grounds that the public lacks information, but in reality the agency occupies itself not in providing more or better information to the public but in micro-managing the health care product manufacturers at great cost to the companiesand ultimately to the patients who rely on those companies for life-saving and life-enhancing products. Robert Higgs is Senior Fellow in Political Economy and Editor of The Independent Review at The Independent Institute in Oakland, California. In addition to Hazardous to Our Health?, his books include Arms, Politics and the Economy, Crisis and Leviathan, The Transformation of the American Economy 1865-1914; Competition and Coercion: Blacks in the American Economy, 1865-1914; and Emergence of the Modern Political Economy.